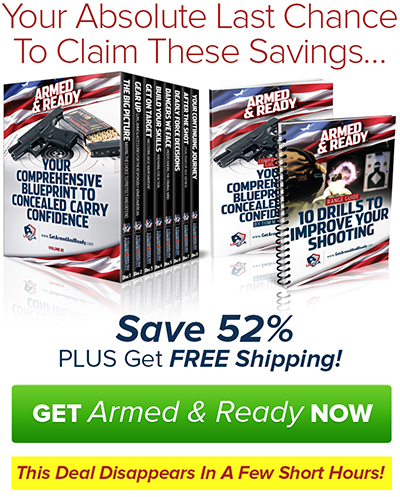 Concealed Carry Classes at Joe Bob Outfitters! 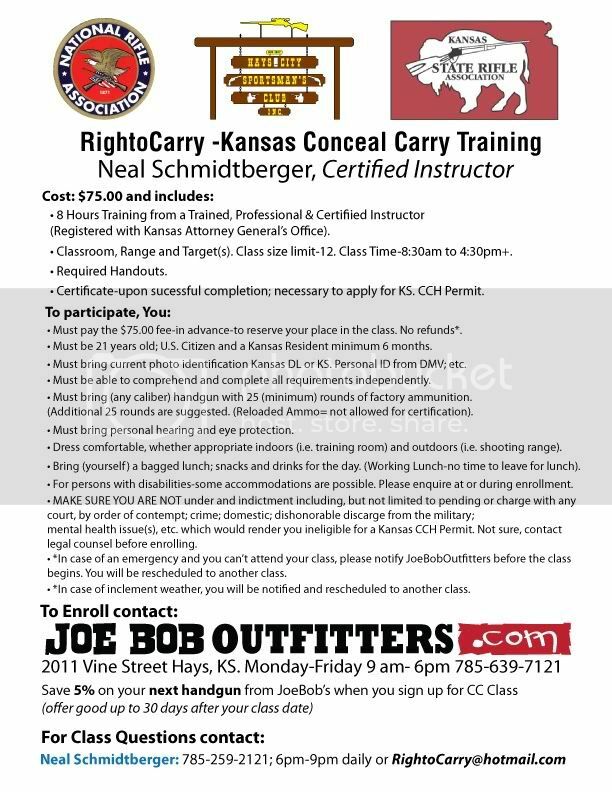 Classes are taught by Neal Schmidtberger, a BENEFACTOR/LIFE Member of the NRA: NRA Firearms Certified Police Handgun & Shotgun Instructor (since 1984); Life Member of the Kansas Rifle Association; current CCH Instructor with The Kansas Attorney General’s Office (since 2008). Classes meet the requirements set by the KS. AG and is guided towards your success to receive your CCH Certificate. You must have this certificate to apply for your Kansas CCH permit. Having a Kansas CCH Permit not only allows conceal carry inside the border of our Great State, but outside Kansas borders as well with access to our current reciprocating (United) States. CCH Classes are generally held at The Hays City Sportsman's Club, located .3 North of I-70 exit Mile Post 157 Hays, Kansas utilizing the club-house and the pistol range. It’s not required you have club membership for the class. 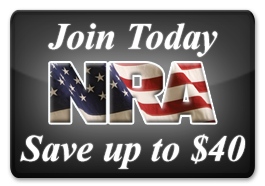 However, you may want to consider a membership as this is a quality, legal location to further enhance your shooting skills. Applicants arrive 8:15am and the CCH Class runs minimum 8 hours, starting at 8:30am. Bring your desired lunch/snack(s); drink of choice-(water; tea; pop) as we work straight through day.